Worldwide, the Four Seasons is a well-recognized brand that travelers equate with luxury and service, and the Four Seasons Hotel in the heart of Austin’s downtown is no exception. Walk in any time of year and you’re sure to experience some of the best hospitality in the city, whether it’s looking out over Lady Bird Lake from Trio’s outdoor terrace in the spring, or enjoying the festive lobby gingerbread houses in the winter. But as with most things Austin, there’s something extra beyond the beauty and service that makes this hotel special. 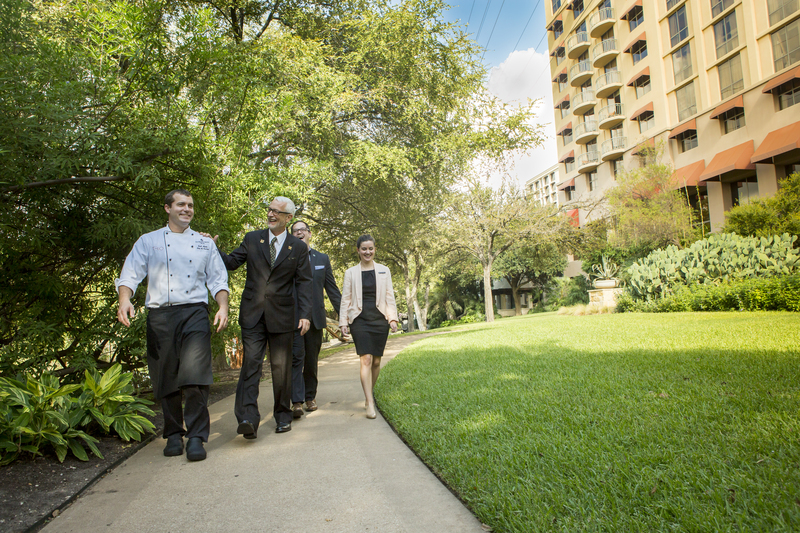 In the case of the Austin Four Seasons, which has been here for 28 years now, it’s a combination of attention to detail and a deep commitment to the city it calls home. You don’t stick around for 28 years without seeing some changes, and in the case of the Four Seasons many of those changes have taken place around its walls. No longer a sleepy little government town, Austin’s booming, especially downtown. The Four Seasons has been part of that boom, with its own residences one of the many new luxury condominiums that have opened their doors in the last five years. Just outside its front door is the 2nd Street District with shopping and dining, and the vibrant restaurants, clubs, and shopping of South Congress and East Austin are only a B-Cycle ride away. That’s not to say time has stood still within the Four Seasons. The hotel has kept up with the times, recently completing a complete renovation of all 291 of its guest rooms, its restaurant Trio, and its backyard space. Those renovations include brand new carpet, furniture and luxurious bathrooms in the guest rooms and an updated look inside Trio. The hotel also has launched an app that allows guests to check in or request specific services during their stay. 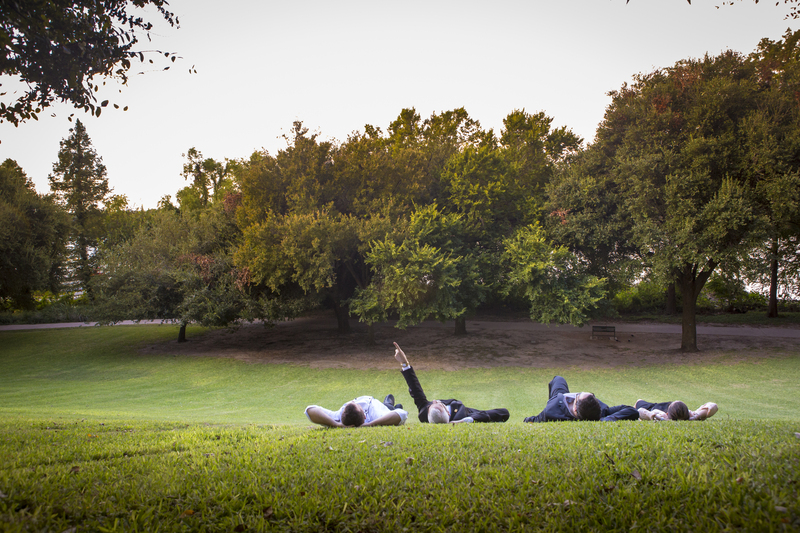 What hasn’t changed for Four Seasons guests is the same essence we hope will also never change in Austin: a laid back, friendly spirit. On Tuesday evenings guests can stroll out to the backyard space to listen to live music and sample smoked sliders and craft beer. And guests can enjoy the spa any day of the week, with its Hill Country-inspired treatments. For those reasons many of the guests at the hotel are Austin locals looking for a staycation getaway or enjoying a wedding. While most of the casual visitors appear on the weekends – the weekdays tend to see more business travelers – a spa happy hour from 4pm to 8pm on weekdays draws in a lot of locals, says Maria Hirt, director of marketing for the Four Seasons Austin. While it’s hard not to notice the cranes and the headlines surrounding new luxury hotels breaking ground in Austin, the Four Seasons will likely offer a very different experience than the Fairmont, when that hotel opens its doors in 2017. Another aspect of Austin’s Four Seasons that hasn’t changed is its commitment as a community partner. Many guests would never know it, but the hotel has raised millions of dollars for the Seton Family of Hospitals and for cancer research, the Austin Opera, and Austin Pets Alive through fundraising events.